Women have been making photographs since the medium's invention, for scientific purposes, to earn a living through portraiture or journalistic activities, and for artistic expression. For almost that long, they have been turning their cameras on other women: at first taking the easiest models available to them—their mothers, sisters, daughters, friends, and servants—and later choosing feminist standpoints or investigating the conditions of femininity in their own cultures. 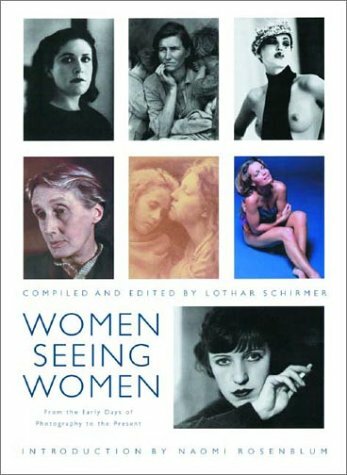 This compendium of camera work by and of women embraces a chronological survey of the medium as well as an emotional journey through women's relationships caught on film. Photographers like Julia Margaret Cameron and Gertrude Kasebier share space with Dorothea Lange, Berenice Abbott, and Cindy Sherman. These well-known photographers in turn sit side by side with lesser known, sometimes virtually anonymous women who have left behind an invaluable record of the way they viewed the world. 159 duotone photographs.